St James provides a wonderful setting for the occasion. 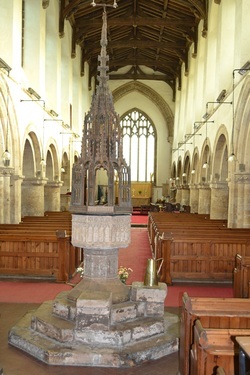 The great font cover is medieval and was once completely gilded. We welcome all to join us within the church. For your child, being baptized at a Christening marks the start of a lifelong journey of faith as part of the local and worldwide Christian family. If you would like more information please follow the link to the Church of England resources http://www.churchofengland.org/.